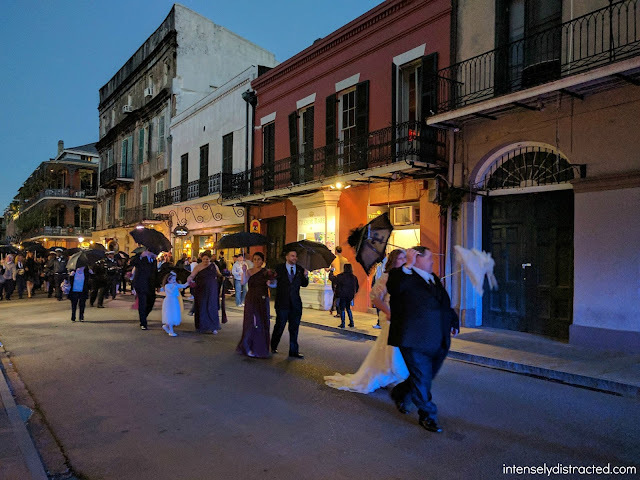 Nola is no stranger to parades! We watched a wedding parade Andrew's first night. New Orleans has never stood out to us as a big destination. I've been interested in visiting, but Andrew didn't really see the appeal so this was never high on our travel list. With very little time to explore the city, we knew we had to limit ourselves to key points of interest. 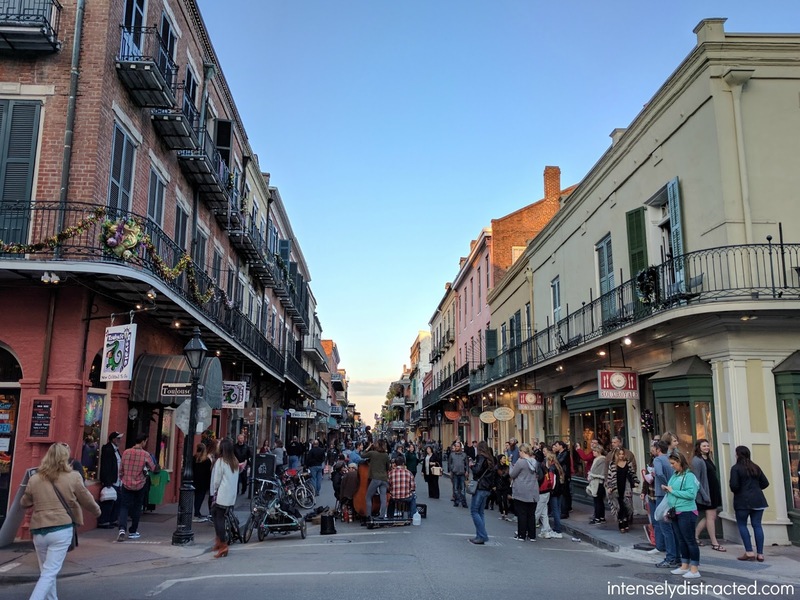 Luckily, our hotel was in the perfect location in the French Quarter, just steps away from Royal Street and all the area had to offer. This was super convenient! Since I had my own work things to do during most of the day (blog post coming soon), being so central to everything made it a lot easier for Andrew and I to explore the city and eat all the food we could get our hands on during our spare time. 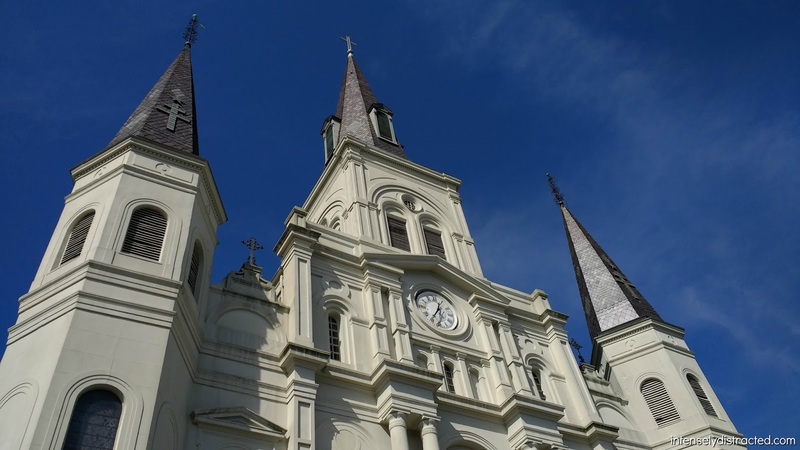 St. Louis Cathedral is the oldest cathedral in the United States. The one thing that was consistent in recommendations was a river tour. I didn't get a chance to go on one, but Andrew spent part of his first day on a steamboat on the Mississippi River. I think the tours can be hit or miss though because he was a bit "meh" about the tour he went on. He also said the novelty of the steamboat wore off pretty quickly with how slow they were going. The weather was absolutely perfect which made walking around super pleasant. Because we were short on time, we tried to minimize travel time as much as possible and managed to fit in a lot on our only full day. Our cooking demo chef, Kevin Belton. 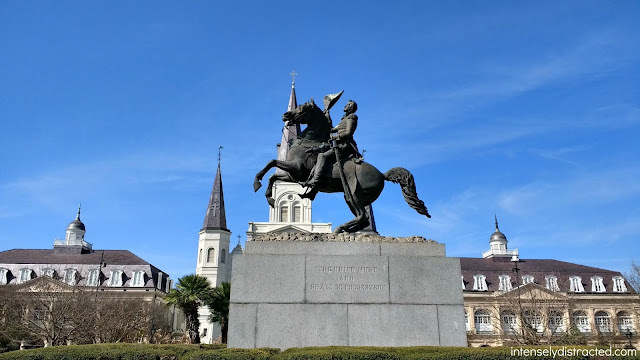 12:30 PM Explore the French Quarter including Jackson Square, Bourbon Street, and Royal Street. This is where we fit in our shopping for souvenirs and gifts. 2 PM National WWII Museum. We were able to walk here as well although the route wasn't super scenic. This is their #1 attraction and is advertised all over the airport. We weren't sure we wanted to spend time here, but we were sold when we found out this museum is also ranked #4 in the US and #11 in the world. We've been to a lot of museums including all the Pearl Harbor museums, but this museum managed to surprise us. It definitely deserves a visit if you're a museum or history fan. We went through most of the museum in just a couple hours, but we wish we would've spent more time here instead of going to our next destination. 4:30 PM Self-guided walking tour of the Garden District. 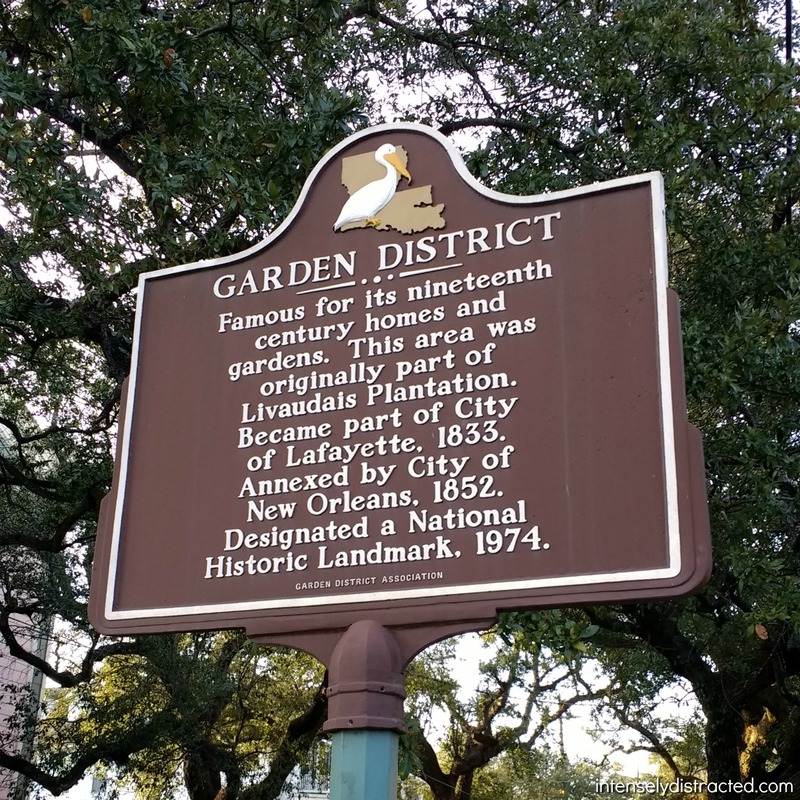 Since this is further away, we took an Uber from the museum and arrived in the Garden District late enough in the day that it was pretty empty. This was one of the places I really wanted to make time for, but I could've done without it. Since it was so late, we hurried past the creepier houses and ended up going back to the hotel before completing the tour. The tour was hit or miss as we went from house to house and all the houses ended up blending together. All in all, it was a bit boring and not something we would do again. 7 PM After making it back to the hotel and resting, we walked to a nearby restaurant for dinner and later returned to watch a movie. If we were party people, I'm sure we would've enjoyed the NOLA night life. 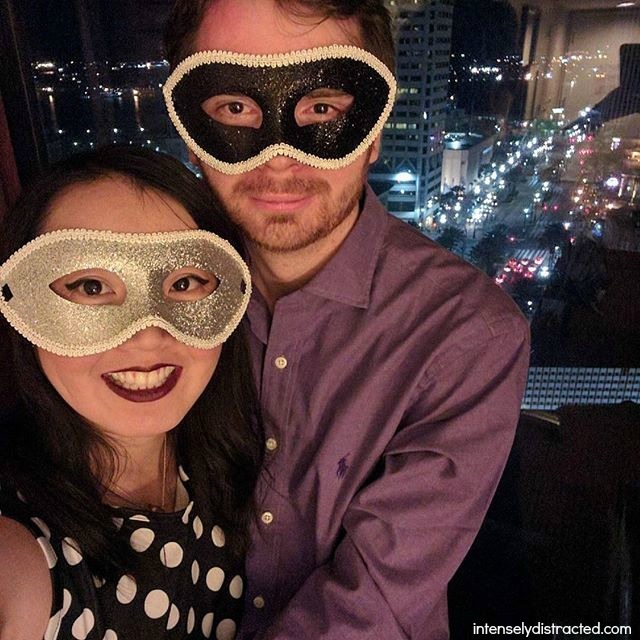 All dressed up and ready for the work masquerade ball! 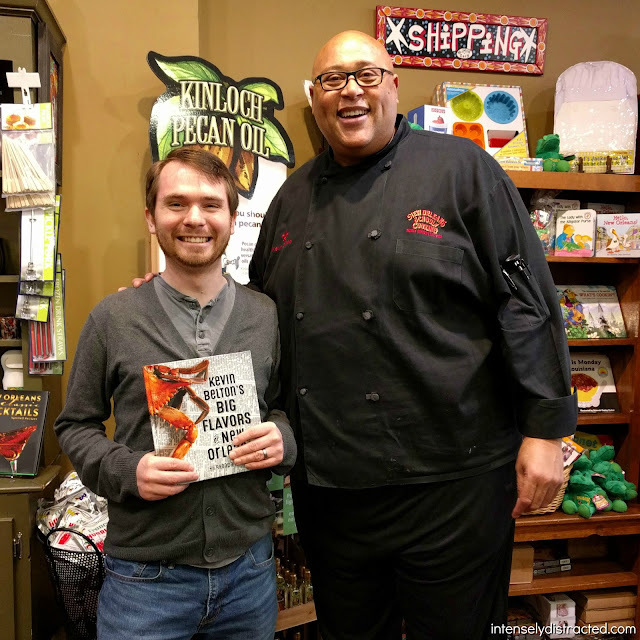 Andrew and I felt like we accomplished a lot in our time in New Orleans. In addition to all the work related events, we had several dinners at some really great restaurants and took in a lot of what the city had to offer. This is definitely a great city to relax in and we would've had more food and definitely more beignets if we had more time. We're still craving beignets and coffee at Cafe Du Monde and all the pralines! Until next time, New Orleans!